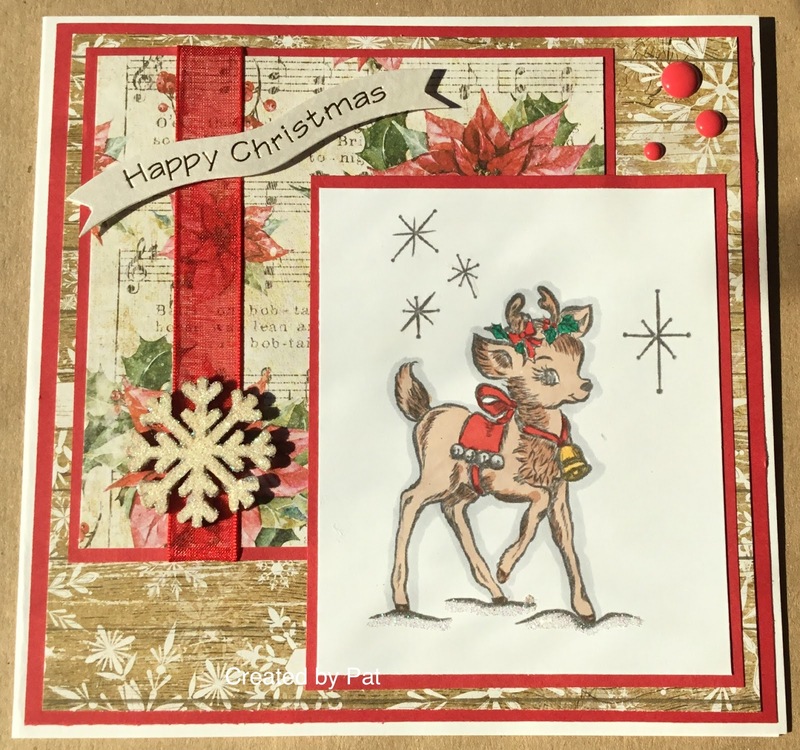 I do hope you can take a look at the challenge blog and see the wonderful creations by our Design Team and maybe join in with our challenge this week. Beautiful papers and layout Pat, the sweet image has a lovely nostalgic feel to it, reminds me of the illustrations in picture books when I was a child. A super Christmas card Pat, such a sweet image and lovely papers. Took a trip over to comment on your card after seeing up on the challenge blog. Your card is so lovely. Just wanted you to know! Gorgeous card, Pat. That little reindeer is so sweet and your mix of papers look great together. Have a good afternoon and evening. 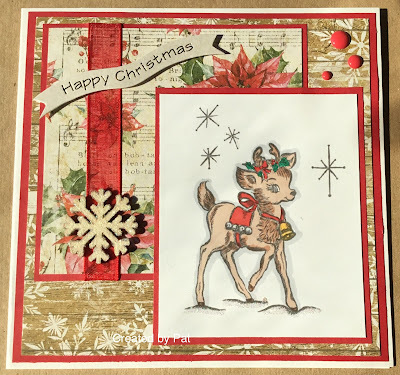 A classic festive card, Pat, the deer is so cute - and I love the wooden snowflake embellishment!